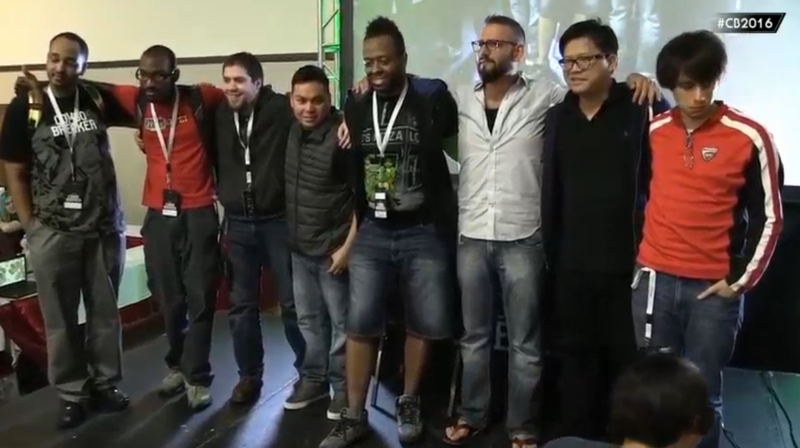 If you missed the stream of the recent KOF action at Vegas Cup 2 (part of the Max Cancel Cup circuit), you can watch a precisely edited highlight hype reel created by Doctor Butler. It is 2 hours long, and contains lots of action from King of Fighters XIII and King of Fighters XIV! Also, stay tuned to the KingsofCo youtube channel for full match archives from the event! This combo video recently recorded and uploaded by Persona is a revisited version of a Andy Bogard combo video he recorded a while back (found HERE). It’s been a very long time since I tried out Andy so obviously there has been a ton of improvements considering how much experience I’ve had with the game by now. Almost all his EX specials and supers scale terribly so it was quite the challenge in coming up with many different 100% combos for him. Luckily all he really needs is his EX Zaneiken (db-f AC). It does a huge amount of damage, comes out as fast (or faster) than the A version and recovers quickly too, allowing for many followups. His db-f Ps and dp Ps A and C versions look so similar that even though I’ve made these combos, I typed the transcript after so if there’s a mistake on which version the special is, please let me know so i can correct them. Thanks! Check out this sweet Joe Higashi combo video that Orochinagi’s Dark Chaotix uploaded on this youtube channel! Features a lot of 1000 damage HD combos & crazy, damaging stun combos! We had two brackets, one for east coast North America, and one for west coast! Good games & thanks to all the players who entered! See you at the next one! Check out this 90+ minute tutorial based video by TSS|Atma that shows the process of how he learns characters and ways to use practice mode to its fullest potential in King of Fighters XIII! Lots of in-depth information shared and demonstrated in this video! In this video, CovenantNexus13 took the time to show & point out all the stage cameos in King of Fighters XIII! Were there any cameos you never noticed before? Also, do you think there were any cameos that were missed or not featured in the video? Post up your thoughts in the comment section! 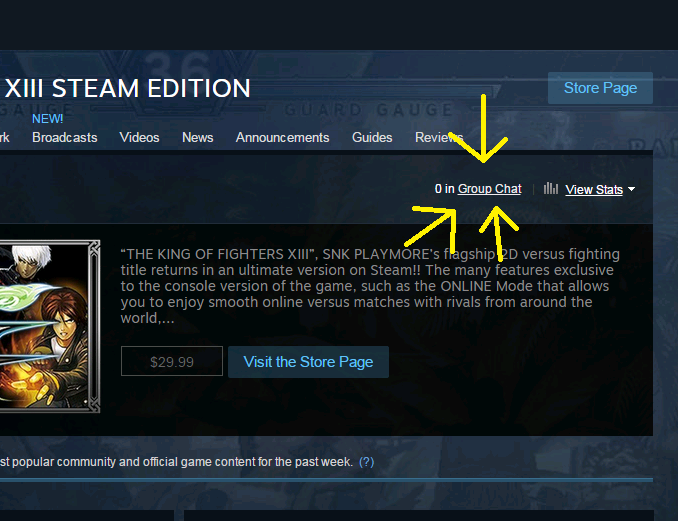 Today is our 13th steam battle for King of Fighters XIII Steam Edition! We will meet up and play together at 2pm Central time/3pm Eastern Standard Time! 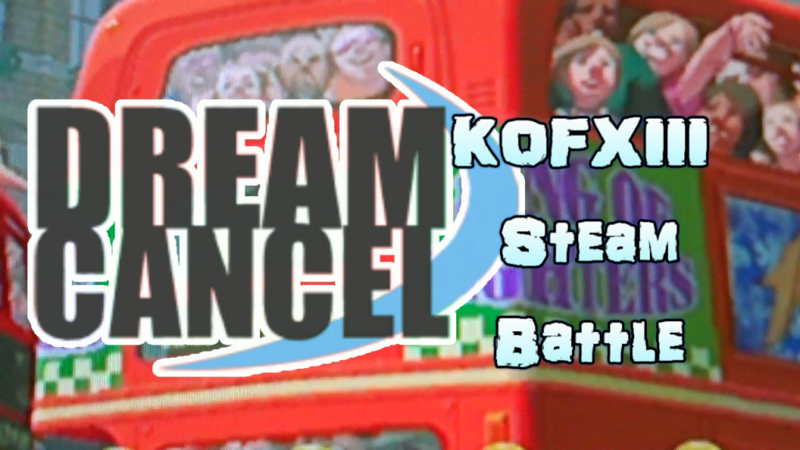 This is will be a Journey To Dream Cancel Cup online event to play for PlayKOF ranking points! This session will give 3 triple playKOF points!! All players in attendance will play each other in a first to 3 wins set. Everyone will play at the same time. After you have finished playing with one person, move on to the next available player and so on (in the chat say “FREE” when you are available). When you are playing, please try to keep track of your score either through chat reminders or tally marks on pen and paper. Report your final score in the group chat. All players wins will be tallied, ranked and posted at the end. It is recommended you try to play as many different people as possible, and you are allowed to rematch with previous opponents once. If you’re playing someone you’ve never faced before, be sure to run a test match to make sure both of your connections feel playable to each other. If they don’t, you can opt out and face another person with a better connection. While you are playing in the session make sure your connection is free and isn’t being used to stream video or upload or download files. Also make sure that your connection isn’t being used or shared by anyone else on your network. No wireless connections, please! To close out 2015, we present to you a highlight reel of very crazy, hype, funny, and exciting moments that happened in 2015! Enjoy! For those in the Midwest area (or anywhere else in USA), King of Fighters 2002 Unlimited Match with King of Fighters XIII will featured as official tournament games at Combo Breaker 2016 in Illnois! The tournament will keep its traditional dates of Memorial Day weekend, May 27-29th! Sign-up now!